PIONEER FLORIDA MUSEUM HISTORICAL MARKER. This marker is located on the grounds of the museum directly in front of (west side of) the Main Building, and not visible from the road, although the main entrance to the museum grounds is prominent. The museum is located at 15602 Pioneer Museum Road. 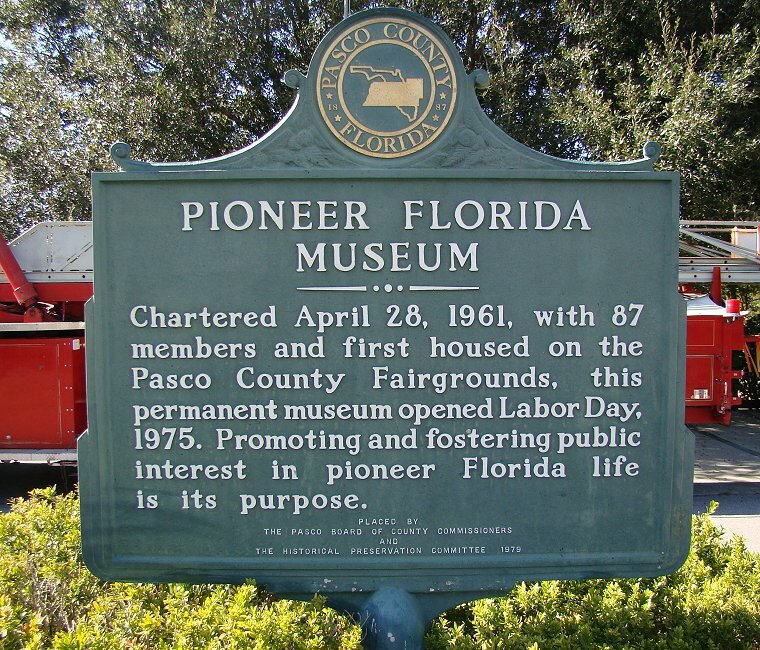 Pioneer Museum Road is approximately 1 mile north of the junction of the US 98/301 Bypass and US98/301 (7th St) through Dade City, at the north boundary of the property of the Dade City Business Center. The web site of the museum is at http://www.pioneerfloridamuseum.org.